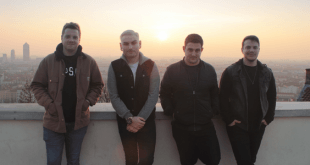 Home / Interviews/Rock/Immerse yourself in the world of the alternative rockers Dusk! 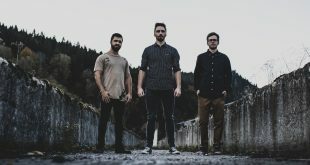 Dusk is an alt-rock band from Los Angeles, CA formed in 2018. The band’s music is connected through a narrative story which explores themes of utopia, morality, and control. In honor of the release of their single “Sanctuary”, I took some time to interview the guys. Check out what we talked about below! Hello, Dusk, thanks for taking time to answer a few questions for Distrolution! Could you please, as a start, list all your band members, as well as their roles in the band? Hey Distrolution! The members of Dusk are Trent Rowland (vocals, rhythm guitar), Aaron Rudin (drums, synthesizers). Michael Rudin (bass, theremin), and Alex Madrid (lead guitar, backing vocals). There’re so many alternative rock bands around the world. According to you, what do you think sets your band apart from all the other bands in your genre? Everything we do has a meaning and purpose. All of our songs are connected to one another, as part of an interconnected story. We use non-traditional instruments on-stage and in our recordings, such as the theremin, to add sonic elements that help us portray what’s happening in our world during each song. We look at every single element of what we do as a band (from our merch to our lighting and stage setup). And try to find ways to innovate and doing things differently. I think our fans recognize that attention to detail and creativity – and it excites them. You have recently unveiled your single, titled “Sanctuary”. Can you tell us more about it? “Sanctuary” is a cover of a song by Utada Hikaru made for the game Kingdom Hearts II. Many of us in the band have been fans of that series for a long time, since we were kids essentially. And we thought it had a lot of atmospheric touches, emotional content, and layers that spoke to us creatively. We indeed thought it would fit well with our sound and catalog. What led you to pay homage to Kingdom Hearts III? Like we said, we’ve been huge fans of the series forever and we’re extremely excited for the release of Kingdom Hearts III. The story of Kingdom Hearts is something that has been a huge influence on how we’re creating our own fictional world. 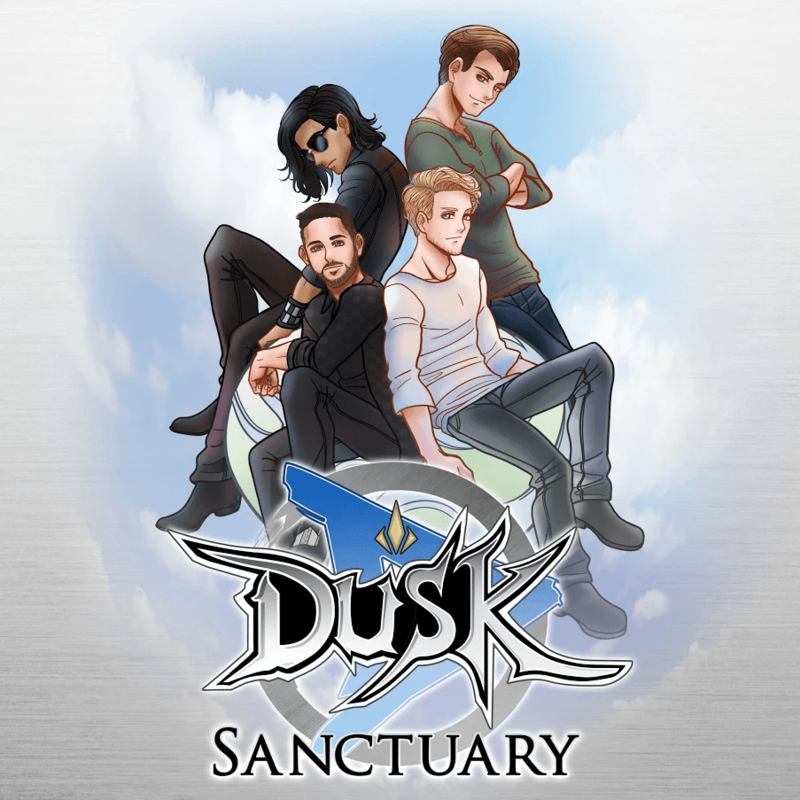 We thought releasing “Sanctuary” would be a great opportunity to celebrate this beloved series and connect with other fans who are also excited for the new game. I don’t know who made it, but the artwork of this single is really sick. Yeah, we absolutely love it too. We were indeed lucky to connect with an incredible illustrator named Krystal Melodie who was able to portray us as characters from the game. The piece she created was exactly what we were envisioning. Plenty of shows and new music throughout the year. We’re also looking forward to connecting with our fans through special campaigns such as The Void, which is our new monthly service including live streams, limited edition collectibles, and exclusive tracks. Inquiring minds can find out more about that at https://duskband.com/thevoid! Thank you so much for all of your love and support around “Sanctuary”. It’s been very, very awesome and we’re glad so many people are enjoying the song and video. We hope to see you out at shows this year, and we look forward to bringing you more music as well. 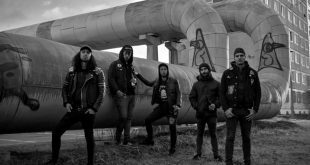 Previous Finnish metallers Wolfhorde reveal new album, “Hounds of Perdition”! Next The Lumberjack Feedback reveal the artwork of “Mere Mortals”!